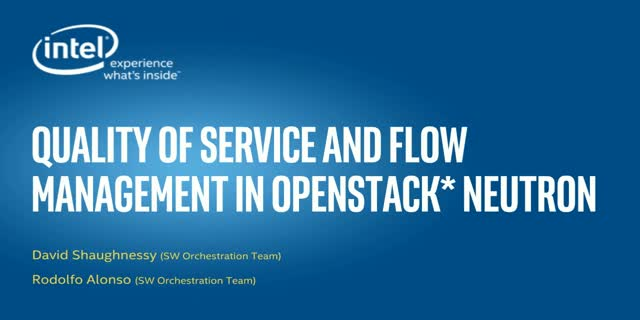 During this presentation two areas of development in OpenStack Neutron will be discussed. The first is Quality of service, we will describe how to enable it, the back end drivers it is implemented on and the features currently available and in development. Extension interoperability in OpenStack Neutron will also be discussed, specifically in regards to the Open vSwitch driver and the extensions use of the OpenFlow tables.